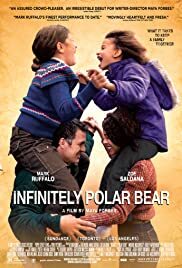 A manic-depressive mess of a father tries to win back his wife by attempting to take full responsibility of their two young, spirited daughters, who don't make the overwhelming task any easier. Great examination of bipolar disease, and how mental illness effects family! A comedy-drama flick, about a bipolar dad, struggling to raise his two young daughters; while his wife tries to support their family, in business school. The film was written and directed by Maya Forbes; and it's based on her own life experiences (as a young girl, with a bipolar father). The movie stars Mark Ruffalo, Zoe Saldana, Imogene Wolodarsky and Ashley Aufderheide. It's an interesting, and well made film study; on mental illness, and how it effects loved ones. The story takes place in late 1970s Boston. Cameron Stuart (Ruffalo) is married to Maggie; and they have two young daughters together, Amelia (Wolodarsky) and Faith (Aufderheide). When Cameron has a bipolar breakdown, he's fired from his job and put in a mental hospital. Maggie moves their daughters into a cheap apartment, in a poor part of town. When Cameron is released from the hospital, Maggie asks him to take care of their kids; while she goes to business school, in New York full time. Cameron agrees, and then struggles to maintain his sanity; while also trying to be a good father. The film is a great examination of bipolar disease; and how mental illness effects family. 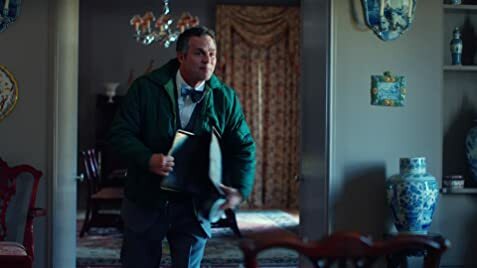 Ruffalo is exceptional in the lead, and the two young girls are outstanding (as well); especially Wolodarsky, playing Forbes (as a young girl). Forbes' script is clever, and very thoughtful. Her direction is decent, but not anything too memorable. Still, it's a pretty impressive directorial debut.